Wave2Net is proud to offer our most reliable and fastest Internet service. Using the newest wireless technologies, we are able to provide upgraded speeds to our wireless customers in Winchester, Frederick County, Clarke County, Fauquier County, Loudoun County, Berkeley County, Jefferson County, Washington County, Hampshire County and Morgan County areas. *Special upgrade options are available for existing customers. Please Call! *WaveOlution services are currently available in limited areas. 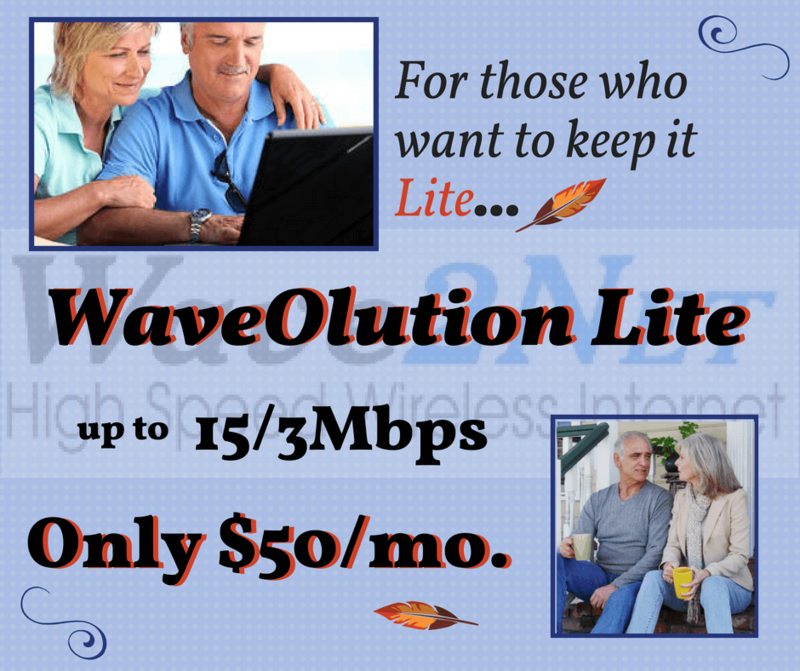 Wave2Net now offers its WaveOlution Internet service with speeds of up to 20Mbps download and up to 3 Mbps upload. Local Technical Support is back! You asked and we are delivering. Now you can reach a local tech Monday - Friday 9am till 6pm.